New addition to OFM Series touch monitor product line designed to meet industrial market demand for use in kiosks, terminals, control panels, and rack mount applications. Austin, Texas – August 2017 – Touch International, a global leader in industrial touch screen and display solutions, has released its 18.5” open frame touch monitor. The plug-and-play monitor features an optically bonded, multi-touch projected capacitive (PCAP) touch screen, high-definition display, powder coated steel frame with multiple mounting options, and comes ready for plug and play operation. The high-definition 1920×1080 display has a 1000:1 contrast ratio and supports 16.7 million colors. Picture quality and product life have been maximized with a full optically bonded multi-touch screen finished off with a polished, chemically-strengthened cover glass and black graphics. HDMI, VGA, and DVI inputs are tucked behind the monitor for simplified integration and improved access for maintenance and upgrades. Power supply, video cables, and touch communication cables are included. The powder-coated steel housing provides the fit and finish of a custom product with the strength and durability to protect all critical components for indoor and outdoor applications. Two VESA mounting options on the back of the housing and optional side mounting flanges further maximize ease of integration into an enclosure, cabinet, console, wall, kiosk or other applications. 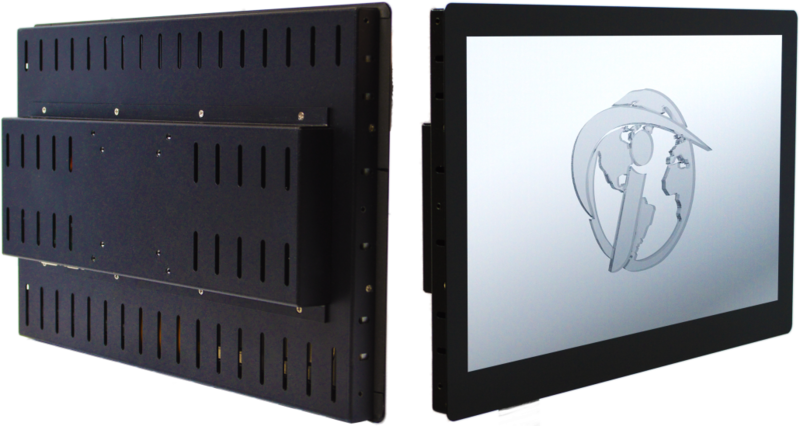 The OFM Series open-frame touch monitors are designed to provide drop-in solutions for companies looking to integrate touch displays and can be customized for many applications through Touch Internals vertical manufacturing capabilities. Options include custom cover glass and graphics, sunlight readability, night-vision (NVIS), SBC or media player integration, water resistant and gloved touch, different touch technology, ruggedization, anti-fingerprint coatings, and more. Full specs are available on the OFM Series page. For additional information or purchase requests, as well as distribution or volume pricing inquiries, contact Touch International today. Touch International, headquartered in Austin, Texas, was founded in 2002 by Michael Woolstrum and long-time touch screen veteran, Gary Barrett, the company’s CTO. TI has become a world leader in professional-grade touch screen display manufacturing. The company operates its corporate headquarters and R&D center in Austin, Texas, and its high volume vertically integrated production facility in Shenzhen, China.